Free to download trial package of CnetSDK .NET barcode scanning library. This .NET barcode reader DLL is an independent .NET library. By integrating this fully featured .NET barcode scanner library to your Visual Studio .NET project, accurate barcode scanning and reading features are all available to use. And there's no need for other .NET imaging assemblies. We provide a demo project in the free trial package for your quick reference and evaluation. CnetSDK .NET Barcode Scanner & Reader software has full compatibility for application development. To us this .NET barcode reader library dll in .NET applications, your development environment should be Microsoft Windows System, 32/64-bit, Visual Studio 2005 or greater, .NET Framework 2.0 or greater. 1. Download free .NET Barcode Scanner SDK online. 2. Unzip it and you will find CnetSDK.Barcode.Scanner.Trial.dll. 3. Add CnetSDK.Barcode.Scanner.Trial.dll to your Visual Studio .NET project reference. Whether you want to scan all barcodes (one or more bar code types) from a loaded image source, or only need to scan and decode one bar code type, CnetSDK .NET barcode reader library dll can do it for you. Three types of image source/value can be loaded to your .NET bar code reading project, which are String, Stream(memory stream), and Bitmap Object. To read barcodes from PDF for .NET applications, please download a free trial of CnetSDK .NET PDF Barcode Scanner SDK to test. The first group of .NET barcode scanner APIs is used to read and recognize all barcodes simultaneously. And the second group of .NET barcode scanner APIs allows you to define a barcode type to decode. Only the bar code type defined will be recognized and decoded from your loaded image source. The last group of APIs is designed for reading the only barcode from image. These .NET APIs will help to improve the accuracy of barcode recognition. // Detect and decode all barcodes from Stream object. // Detect and read all barcodes from image file on the disk. 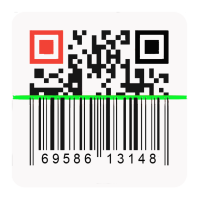 // Read and scan a specific barcode type from Stream. // Read and decode a specific barcode type from local image file. // Recognize the only barcode from Bitmap. This API improves recognition accuracy. // Read the only barcode from Stream. This API improves recognition accuracy. // Read the only barcode from a local image file. This API improves recognition accuracy. By using all above .NET barcode scanner APIs to scan barcodes and decode encoded value, you will finally get the recognition result in array form. And the returned barcode decoding result includes bar code encoded data and barcode type information. If there are multiple linear/2D barcodes (like QR Code) on your image source, all of them will be recognized and you will get all encoded values. Please Note: the first data value of each barcode will be decoded as CnetSDK* if you are using free trial package. You may use these phrases to search for CnetSDK barcode scanner for .NET application development: .net barcode scanner library, .net barcode recognition, .net barcode scanner api, .net barcode scanner integration, .net barcode scanner example, asp.net barcode scanner, .net barcode reader open source, .net barcode reader component, .net barcode reader library, .net barcode reader free, .net barcode reader code, .net barcode recognition decoder sdk, .net barcode recognition library, barcode recognition .net open source, barcode decoder algorithm, barcode decoder from image, barcode recognition system using image processing, and barcode recognition sdk.